LOS ANGELES, CA — “We‘ll kill her at the top of the stairs. She‘ll never know it‘s coming. Then whack. There will be spurting blood, and you‘ll hear her head bouncing down the stairs.” When 12-year-old Adam Castle overhears his father say these chilling words to his mother behind closed doors, he wonders, what could it mean? Is his father a Mafia Don? …a murdering thug? And his mother an accomplice? 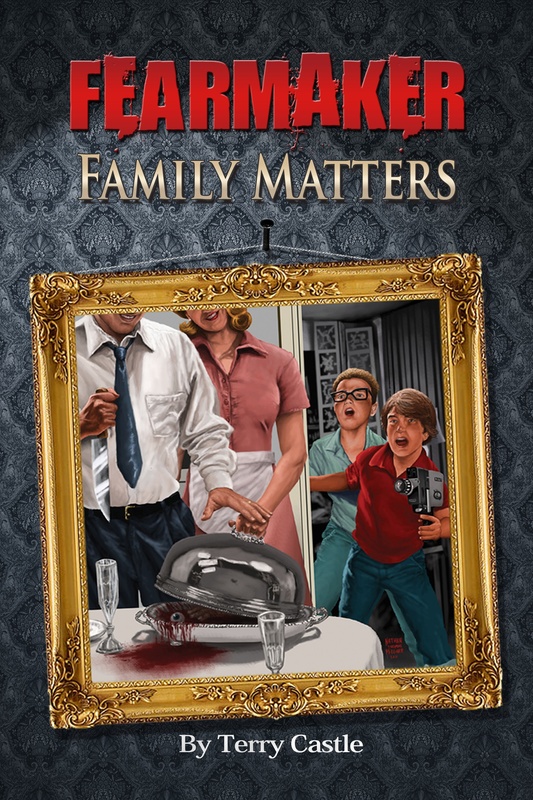 For brave kids only, FearMaker: Family Matters reveals an exciting, bloodcurdling tale of intrigue and suspense as Adam feverishly pursues the truth about what’s really going on…why does his father want to kidnap and kill Jen, the cutest girl in his class? …who’s chopped off toe is in the box Adam found in his father’s office? …what’s behind the strange texts he’s been receiving from a mysterious, unknown sender about the awful things he’s been seeing and hearing? With the help of his best friend, Julian, they piece together clue after clue to get to the bottom of this crazy nightmare. When they find themselves at the bottom of an empty grave, you’ll never believe what they discover! 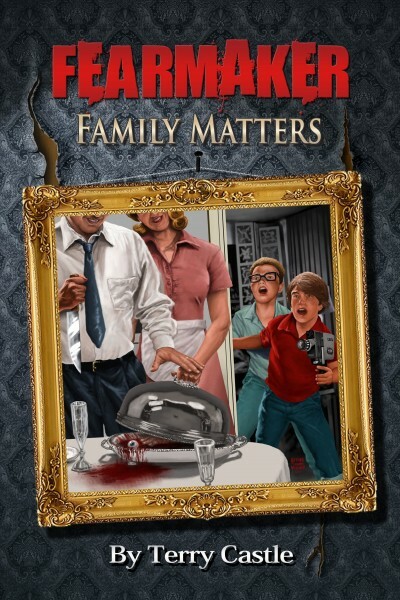 FearMaker: Family Matters is author Terry Castle’s personal homage to her father, William Castle (1914-1977), legendary horror filmmaker of such 1950s classics as House on Haunted Hill, The Tingler, and Thirteen Ghosts, and producer of Rosemary’s Baby. 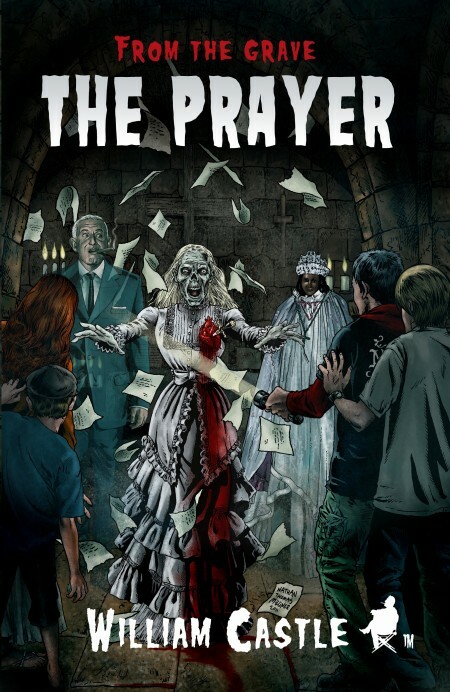 Known for his ingenious marketing gimmicks, William Castle himself has recently returned with his first new work in over thirty years—From the Grave: The Prayer, a novel for tweens/young adults. 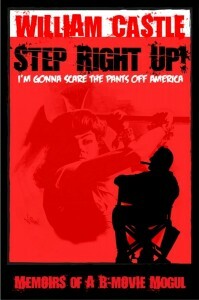 Terry Castle grew up in Los Angeles with a dad who made a living scaring the wits out of moviegoers everywhere. Although he was internationally famous, to her he was always just dad, though a larger than life one at that. While she was growing up in the 1960s, her father taught her interesting life skills such as the best recipe for fake blood, the proper way to hold an ax, and how to act out the most terrifying of ghost stories. After working as a writer and producer for CNN, Travel Channel, and Nickelodeon/MTV-Networks, she worked with Dark Castle Entertainment (Joel Silver and Robert Zemeckis’ production company named after her father), where she co-produced and consulted on the remakes of two William Castle films: House on Haunted Hill (1999) and Thir13en Ghosts (2001). Much of what lies within the pages of both From the Grave: The Prayer and FearMaker: Family Matters is based on real life occurrences shared by the two Castles. Horror is in Terry’s blood, as she carries on her father’s wicked tradition of scaring innocent souls everywhere. This message is for Terry Castle. I am the 9 year old boy who met you at the Burbank Monsterpaloosa convention almost two weeks ago. I purchased your book and read it (Fearmaker Family Matters). I enjoyed your book very much. I thought the twist in the plot was original and clever. The ending was definitely a surprise. It reminded me of your father’s style. Your book was very descriptive and detailed which my mom totally appreciates. She thinks authors should always paint pictures with their words and you did. p.s. 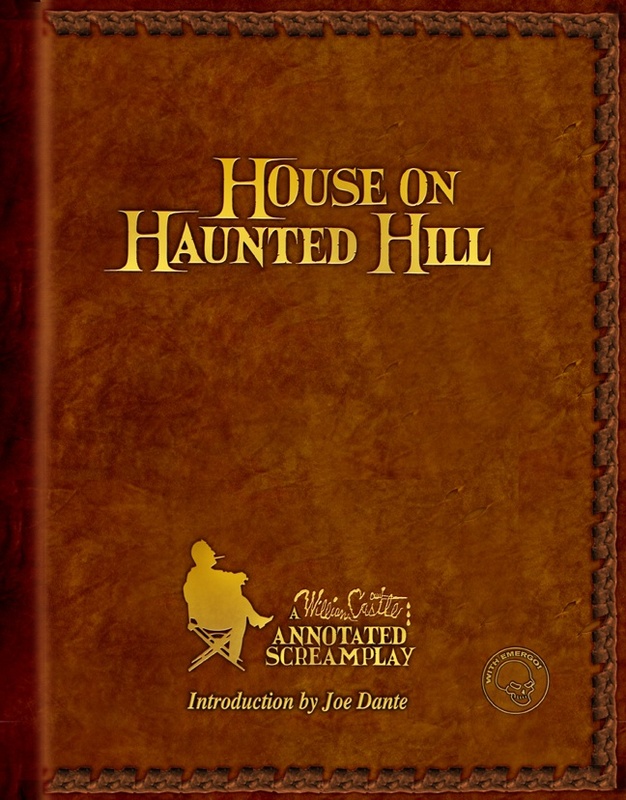 I followed the script of House on Haunted Hill while watching the movie. The changes he made were good for the movie.